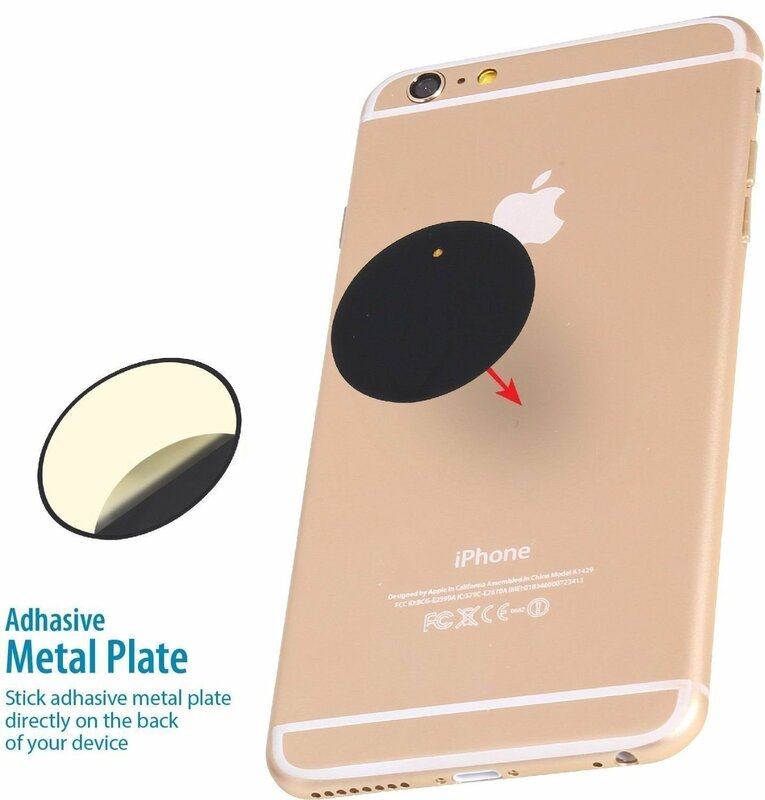 – Two metal plates are included: a rectangular plate inside the package and a round plate attached to the magnet initially,removed the circular piece of metal from the front of the magnet before using. 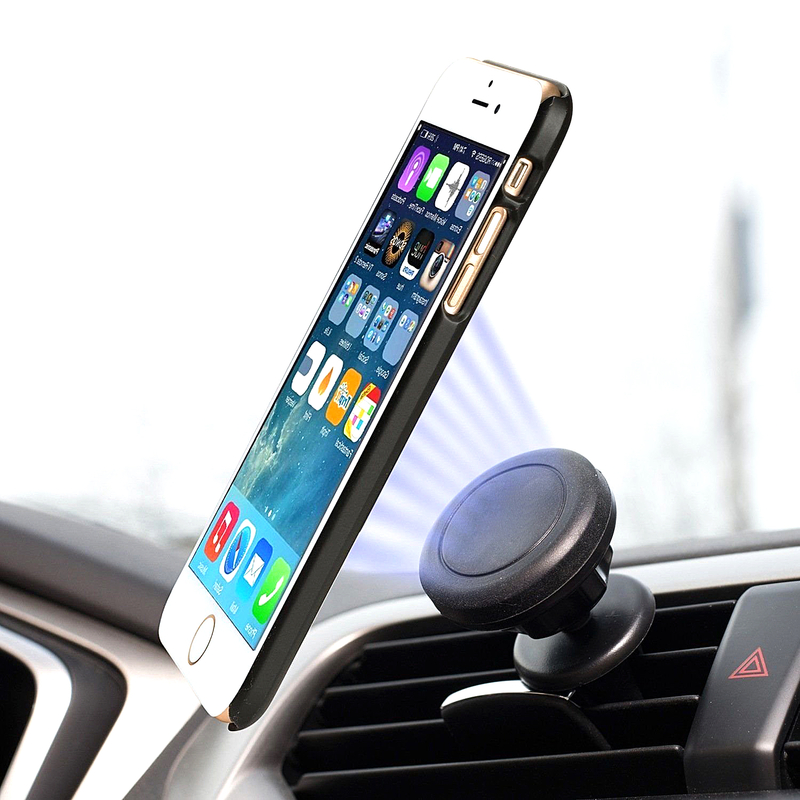 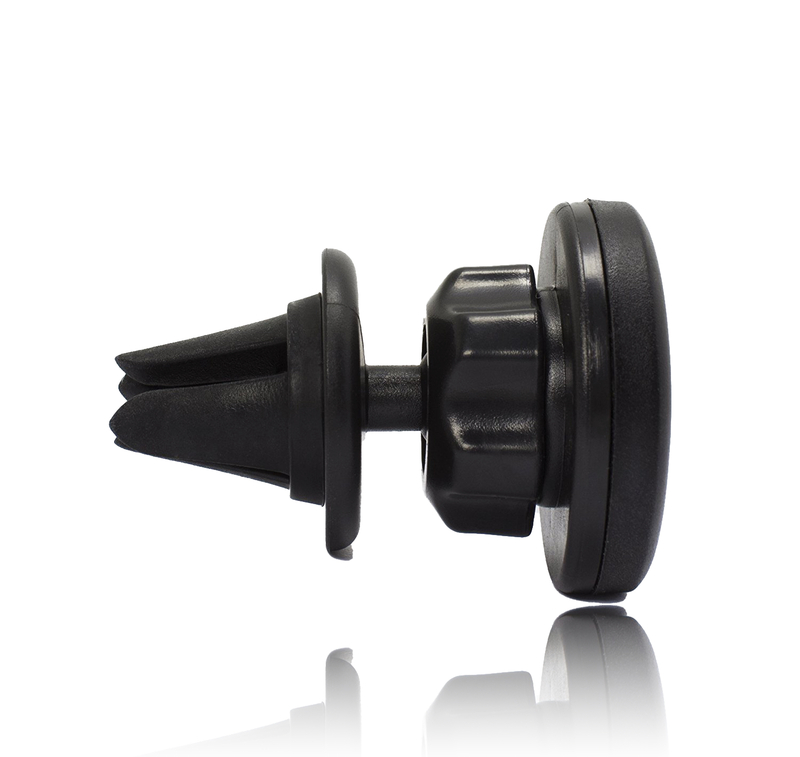 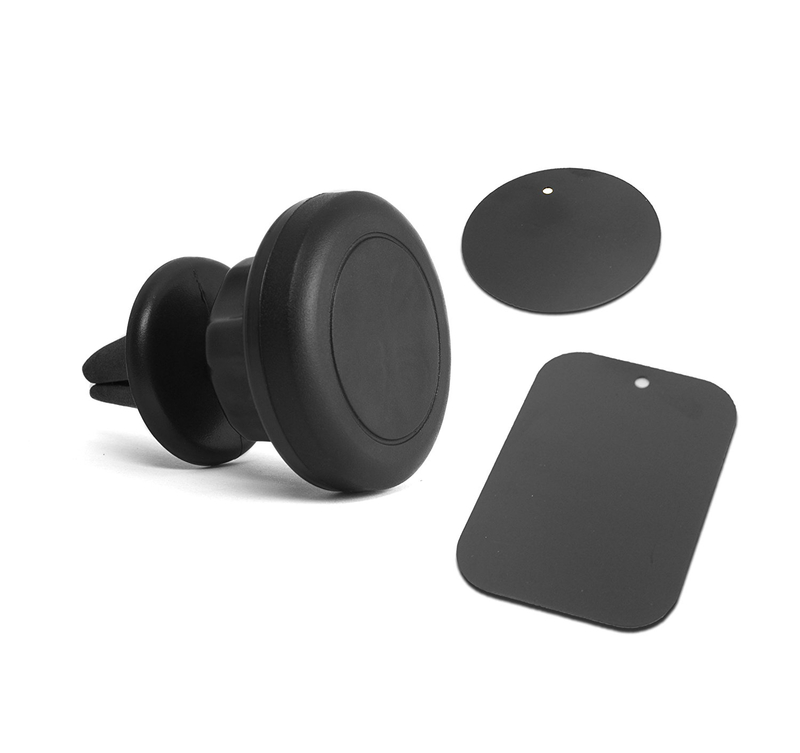 – Insert the mount in the Air Vent Mount in your car.– Place the include magnet metal plate in your case between the cover and the phone,Or stick on the round magnet metal on your phone or GPS.– And your phone is good to go! 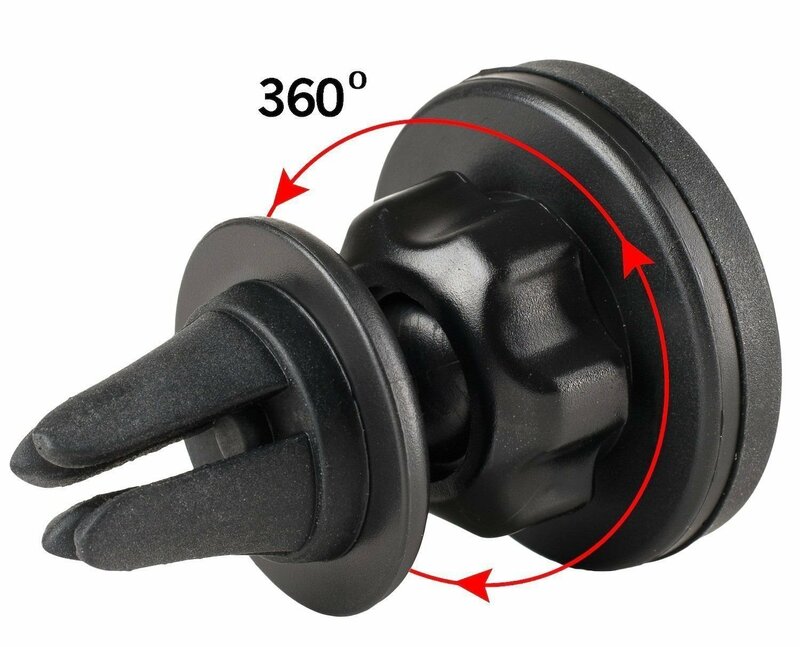 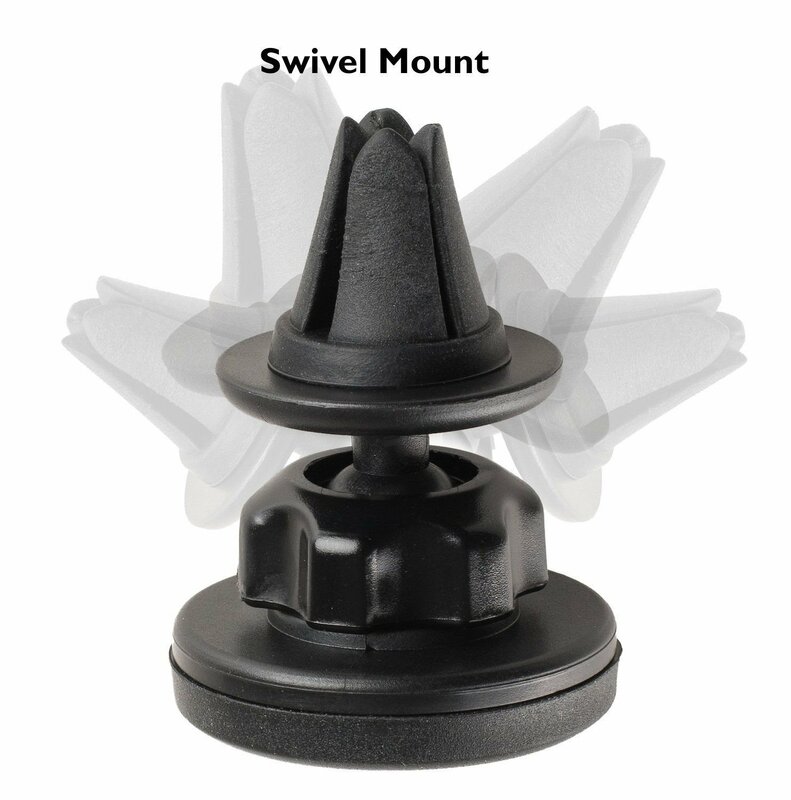 The MagGrip 360 Vent Mount is a sturdy, multi-positional phone mount which allows you to magnetically place your phone right on the holder with no clamps or cradles. 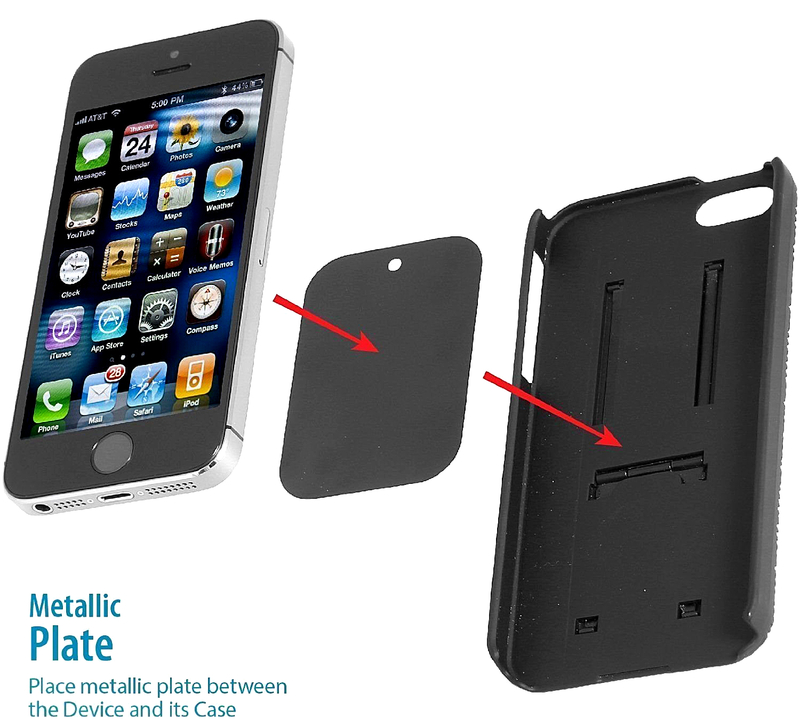 Just place the included slim MagGrip plate inside your phone case, attach the MagGrip 360 to the vent, and place the phone right on the mount. 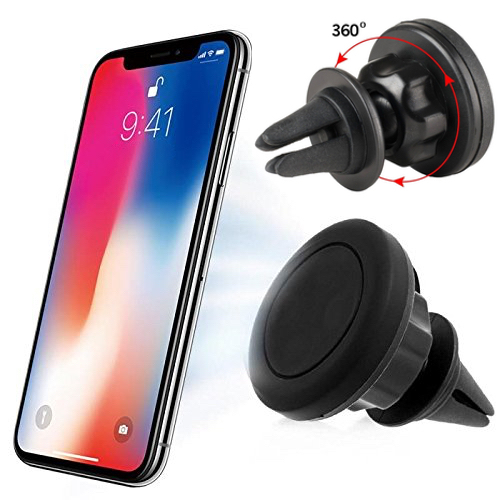 You can position the phone in a circular direction and you can tilt your phone independently of the vent to gain an optimal, customized viewing position.